Geek Room 101: CINEMATIC UNIVERSES | Warped Factor - Words in the Key of Geek. Dr. Moo has a long rant. For many years now we have been treated – and I use the word “treated” loosely here – to the advent of the shared cinematic universe. It started back in 2008, technically, when Marvel Studios gave us Iron Man, swiftly following it up over the next four years with films featuring their other A-listers: Hulk, Captain America, Thor and so on. That was all well and good. The films were decent enough, if you like that kind of thing. They were technically connected, with some easter eggs scattered throughout for fans to pick up on. You were left thinking that maybe there might be some connection between them, but it was nothing too serious at first. That’s the sound of 2012 blockbuster The Avengers. Suddenly these characters were all thrown together and sharing the screen. In fairness, it was thrilling to see. There’s something nice about getting to see the ultimate fanservice of Iron Man and Thor fighting each other or Captain America taking down Loki. But this had all set a precedent, because in the wake of this movie and its stratospheric success suddenly the concept of a shared cinematic universe had hit the mainstream for all to see everywhere worldwide. Cinema would never be the same again. The first place we began to see the problems that I have with this concept was in the subsequent Marvel movies. They pulled off so-called “Phase 1” with such success but they really dropped the ball with Phase 2. For example in the second Thor movie we inexplicably had Captain America show up. It wasn’t a big scene, just a glorified cameo really, but that’s how it starts. We got another Avengers movie in 2015, but one too concerned with patting itself on the back about how clever it was rather than matching the first’s success. Perhaps because that one was the sales pitch for the shared universe and this was real thing where it ultimately collapses under its own weight? The next movie was Ant Man, which was a fun movie – but in it there’s a scene where the titular hero ends up fighting an Avenger, even if one of the more obscure ones. And that’s the problem in a nutshell: Does the average cinemagoer know who this hero, The Falcon, actually is? The answer is a big fat NO! They don’t know and the film alienates them. It’s only a minor scene in the film but it exemplifies my argument rather well that it has now reached a point where you can’t go to see a movie without first reading up on all the films made by that studio beforehand, just to be sure it’s not secretly a well-disguised sequel that you’re about to watch. Sure the MCU has given us some good films, take the one just before the last two I mentioned, Guardians Of The Galaxy, as an example. It was some of the most fun I’ve had in a cinema in the last three or four years. 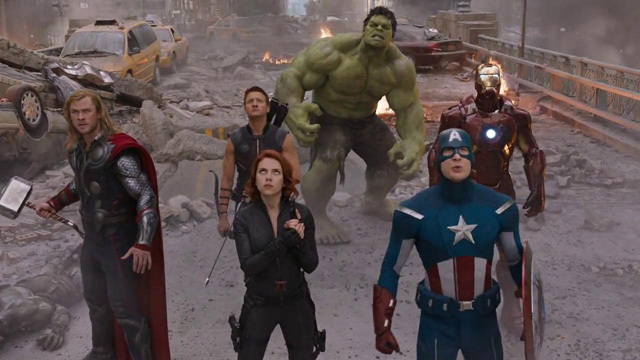 But one thing you can’t help but notice is that it's completely standalone from the rest of the series… until next year’s third Avengers movie, which will have these characters in it! Or should that read “fourth” movie? 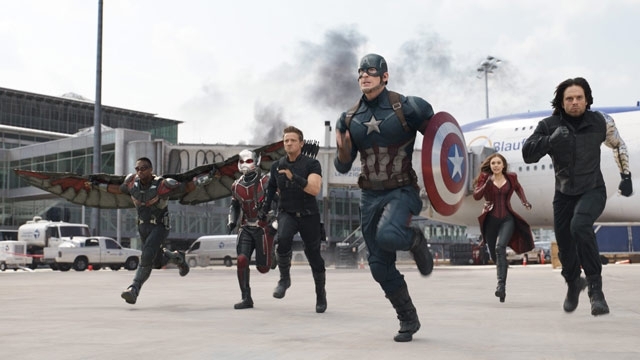 The latest Captain America instalment basically turned out to be an Avengers film. It’s got to the point where the film doesn’t even need to be what the title says it is! I’ve been heavily focussed on Marvel here, and rightly so since they’re the ones to blame for what I’m ranting about, but they’re not unique. Take Warner Bros’s Spiderman movies, this being before his recent homecoming (Thank you, thank you!) to Marvel. Anyone who watched The Amazing Spiderman 2 would’ve seen a film that collapsed under its own weight thanks to an obvious attempt to introduce a few thousand new characters, each to be spun-off into their own movie. Had the film not collapsed in on itself like a Black Hole approaching critical mass then we’d have another cinematic universe right there. Of course Spiderman’s back in the hands of Marvel now where his first movie in the MCU is just months away from release, but from the promotional stuff you’d be forgiven for thinking it’s actually another Iron Man film. For all those reasons – alienating to audiences, overstuffed movies, misleading titles – I have a problem with the cinematic universe thing but I’ve often felt like I’m alone in the universe for feeling this way. But perhaps not, because last year Marvel’s rival DC launched their own cinematic universe, and audiences were shown perfect examples that demonstrated all the problems I have with the concept. 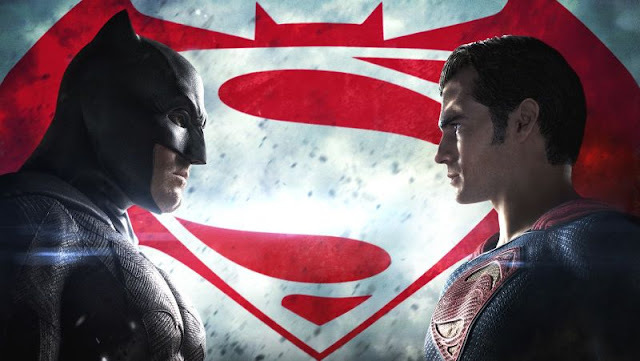 I’m talking, you’ve no doubt figured out, about Batman Vs Superman: Dawn Of Justice. This movie comes three years after Man Of Steel technically launched this expanded universe but why we had to wait so long is beyond me. Marvel at least got the early stages right before losing their way later; here we should have had some films in the interim. Where’s the Ben Affleck Batman movie? Where’s the Gal Gadot Wonder Woman film? Why hasn’t Ezra Miller done a Flash movie? What about Jason Momoa’s Aquaman movie or Ray Fisher’s Cyborg film? Instead we’re suddenly out of left field being told that all of these characters exist, getting all of these characters rushed in out of nowhere. 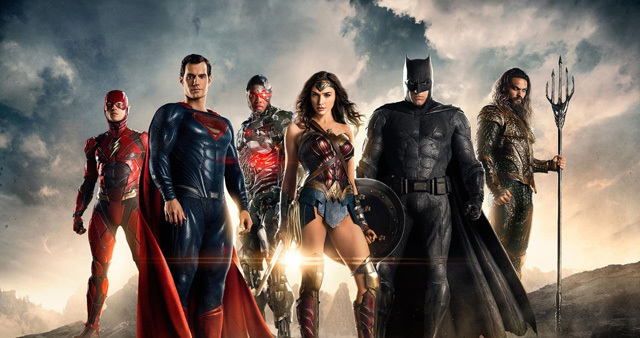 Only Batman, Superman and Wonder Woman actually do anything in the film and the other three are just… there. It doesn’t benefit anyone involved with the film’s production or the audience. It doesn’t even benefit the characters’ involvement with the shared universe because there’s no investment here when they aren’t given the justice of a proper introduction. But a part of me can forgive Marvel and DC for trying to do these things. The superhero genre has the luxury of allowing its concept to all be set in the same fictional universe, the same can be said of well-established franchises that have room for new stories to be told such as Harry Potter or Star Wars (which both had their first spinoff movies in 2016). The problem however is the trend it sets. If I’m not convincing you yet then let me try asking you another question: When was the last movie you saw that didn’t feel in some sense as the start of a new franchise or part of an already established one? I’ll be honest with you that, if we exclude animation, I’m struggling to find an answer. Pictured: The Harry Potter Expanded Universe, because that’s a thing now. It’s got to the point now where the standalone movie is dying, and that’s a tragedy. You don’t get films put out nowadays where you know the story is self-contained and satisfying, unless it has a Pixar logo splashed on it (and even there it’s touch and go). Lionsgate have an upcoming Power Rangers revamp, but the intention is stated from the off that they’re looking at making “five or six” movies. Surely they should be focussed on just making the first one good enough to warrant a demand for more? Wouldn’t that be the way to go if integrity were to be retained? Everyone remembers superior follow-up movies like The Empire Strikes Back or The Godfather II but not only is their superiority an exception to the norm but also neither of these movies’ existences were certainties when the first film came out, instead they happened because the first ones were so good. Hasbro are getting a piece of the pie with properties like Transformers eyed-up for the cinematic universe treatment. Even such franchises as Fast & Furious, which is inexplicably eight movies deep as of this year’s upcoming instalment, has the studio considering a shared universe of movies around it. It’s getting beyond the point of ridiculous now. And that’s before I mention the fact that Universal Studios have gone so far as to introduce a Universal Monsters ‘verse which debuts this year with a reboot of The Mummy, with other movies already planned before the movie’s even close to being released. Does anyone actually care about whether these monstrosities exist in the same continuity? No? Anyone? Anyone at all? That’s nobody then, as I suspected! 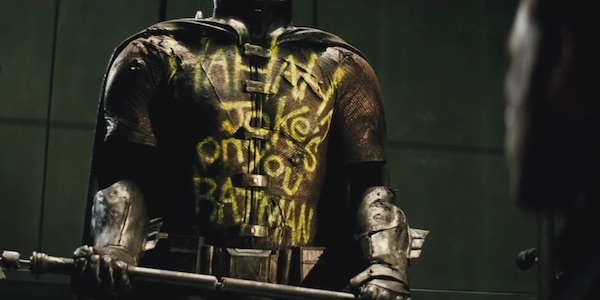 Sorry Joker, but where you say “Batman” don’t you mean “audience”? The simple fact is that there’s no obvious benefit to be had for wither the characters or their stories in creating a cinematic expanded universe, which begs the question of why it’s happening. The answer is a simple one, one so simple you don’t even need me to say it. But I will anyway. The fact is that as long as people are prepared to pay up to see the latest blockbuster then studios will keep doing it as long as that market exists. And if that means sacrificing artistic integrity then so be it. It’s at the point now where if you went into the shareholders’ meeting at Warner Bros, Universal, Paramount, Disney, or wherever else and suggested the next film on the release schedule NOT be part of a cinematic universe then you’ll be kicked to the curb before you even knew what was happening. It might be hyperbole to suggest that the expanded universe will be the death of cinema, but with almost every noteworthy movie set for release this year being either a sequel or part of an extended ‘verse then maybe it doesn’t seem such a hyperbolic thing for me to say after all. And that’s a damn shame.